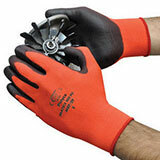 Cut out the middle man and order from the UK’s leading online specialist for work and safety gloves. 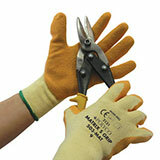 Our wide range of gloves are suitable for a varying array of jobs with cut resistant and gripper gloves to rigger and specialist gloves we are sure to have you covered. Get protected quickly with all of our work gloves ready for same day dispatch and available for next working day delivery – experience the 5 star service our customers have come to rely on! 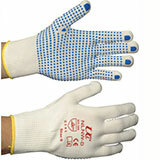 As well as a huge range of work gloves ranging from rigger gloves, gripper gloves, cut resistant gloves, and heat resistant gloves we sell disposable gloves including; latex gloves, vinyl gloves and nitrile gloves. 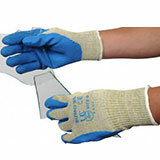 Not only do we have an extensive range of work gloves on offer we also sell PPE products, Safety Signage, Health & safety Law Poster, First Safety products, First Aid Essentials and Hygiene Control products. We know that price is important because of this it is vital we only sell to you at competitive prices and we offer cut prices on most of our products. The more you buy the less you spend, saving you money! Here at Just Work Gloves we pride ourselves in excellent customer service and will always strive to give you the best customer service we can. In the unlikely event that we do not sell what you are looking for them please call our friendly sales team on: 0800 1777 118 to discuss your requirements further. Please note that our operating hours are Monday-Friday 9am to 5pm, except for bank holidays. All of our orders are discreetly packaged and with next day delivery for your convenience. As well as our website, we also have a live chat feature on our website if you’d like some help whilst buying online. 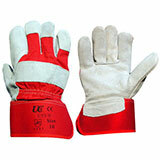 Just Work Gloves also have various different social sites including facebook and twitter or Google+ that can updates of any promotions, new products and general information which may be useless to you. Included in our huge range of products we sell the updated Health Safety Law Poster. The document is commonly known as ACOP L74 - This code has been approved the Health and Safety Commission and gives practical advice on how to comply with the law. Health and Safety Inspectors seek to secure compliance with the law and may refer to this guidance as illustrating good practice. The regulations are in place and are to be adherd to by all businesses. 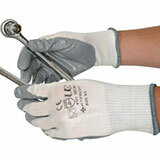 With Just Work Gloves' huge selection of work gloves you are bound to find your perfect pair today!